Stand-up paddleboarding is a lot of fun and it’s great exercise, too. But sometimes it can be a real challenge to store and transport the board to and from the water. Inflatable models have helped with this issue somewhat, but an ultra-portable SUP board has been the Holy Grail for serious outdoor athletes for some time. 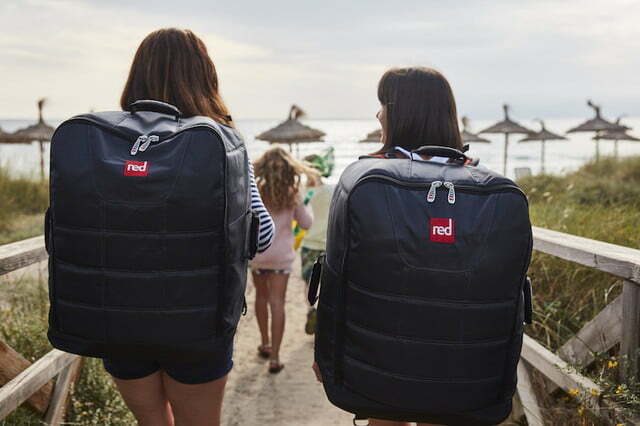 Now, Red Paddle Co. has introduced a new model that could solve this problem by delivering a board that you can take with you just about anywhere you want to go. The company’s new Compact 9’6″ model promises paddlers “half the size and double the adventure.” As its name implies, once inflated this board is a full-size model that measures 9 feet, 6 inches end-to-end and weighs 28.1 pounds. 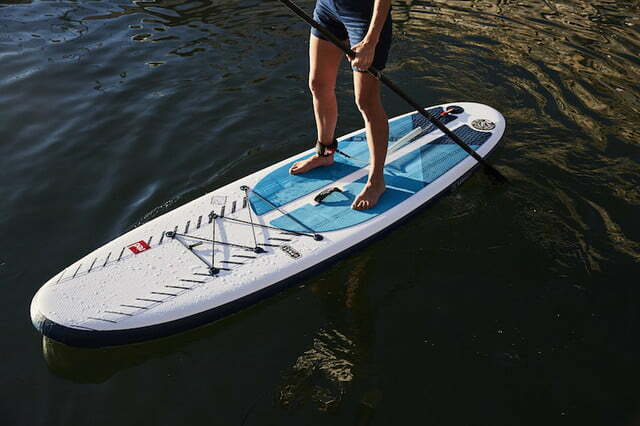 Those are rather svelte dimensions for any stand-up paddleboard, yet Red Paddle Co. says the Compact delivers performance on par with what we have come to expect from its other models, several of which made our list of the best SUP boards on the market today. But what truly makes the Compact stand out from the competition is how small it can become when it’s not in use. Using what it calls PACT Technology, the board is created from a material that uses a new weaving process that creates an extra-high-tensile thread matrix in the interior that is combined with a strong but malleable outer layer. This allows the Compact to be stiff and durable while in use, but can still be folded down and stored in a bag that is half the size of traditional inflatable boards. 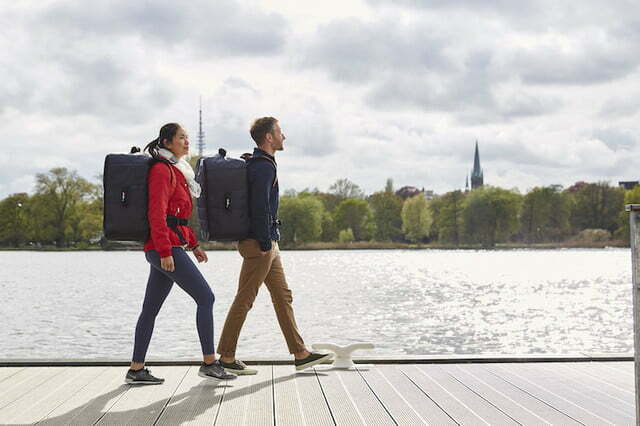 The board is only half the story, however, as the included backpack also helps in the Compact’s ability to be easily transported. 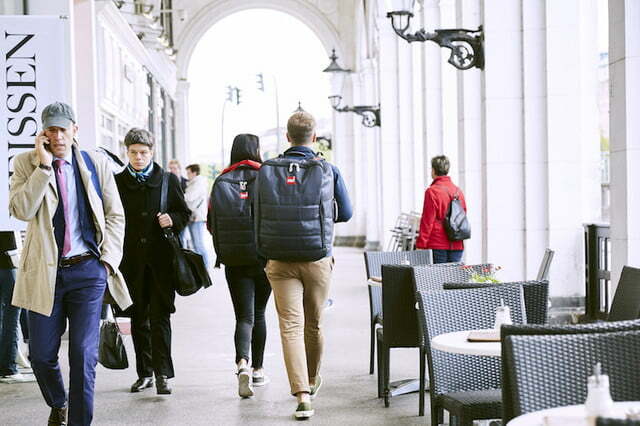 The pack has been designed to offer the wearer a high level of back and shoulder support, making it more comfortable to wear even with the board stuffed inside. 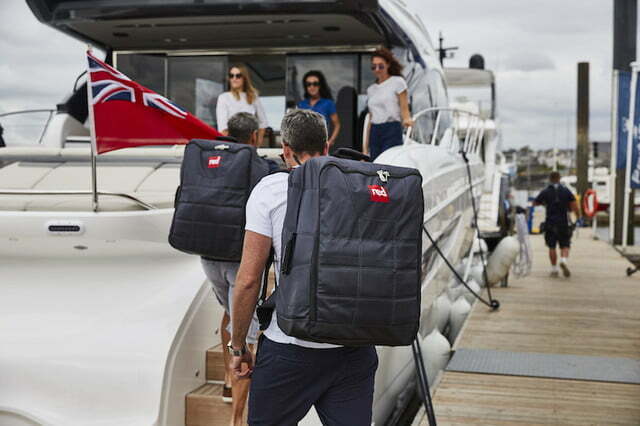 Red Paddle Co.’s Head of Design Phil Hawthorne tells us that the bag offers 53 percent less downforce on the user’s lower back, providing additional comfort over the long haul. 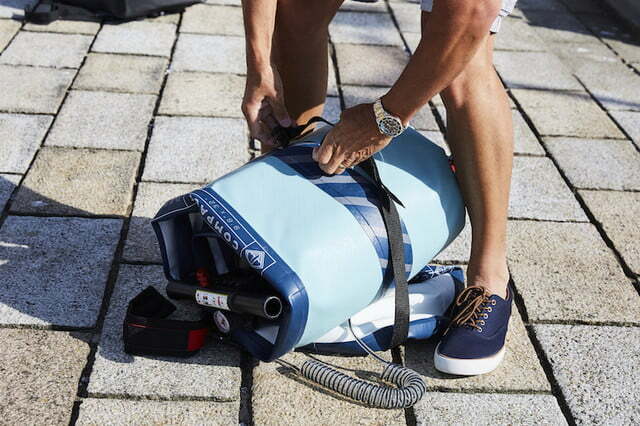 The backpack also features lower lumbar support and can be easily adjusted to fit paddlers of different heights. In addition to the board and bag, the Compact also ships with a five-piece modular paddle, innovative click-in fins for improved tracking, and a Titan pump, all of which fit inside the backpack as well. Red Paddle says that the board can be pulled out of the pack and be on the water in a matter of just a few minutes, which isn’t always the case with inflatable models. The Compact 9’6″ is available for pre-order now, but this ultra-portable board won’t come cheap. It carries a price tag of $1,899, which puts it among the more expensive inflatable models. 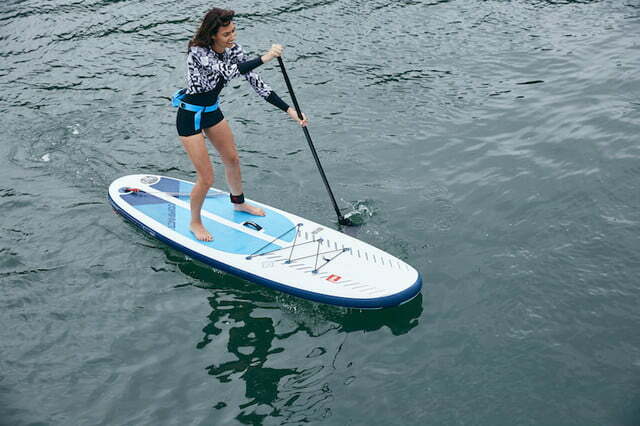 Still, for the size and convenience it brings, it could be a major hit with the SUP crowd. After all, what other board can be carried on an airplane?